Mrs. Reinheimer, known as Jenna V. to her coworkers, has served the Kennett community for 20 years. She received her undergraduate degree from Mount Holyoke College in psychobiology and her master of science in counseling and human relations from Villanova University. Before beginning her career in education, Mrs. Reinheimer worked at the Central Intelligence Agency with children of undercover agents, performing a combination of therapeutic and educational duties. She discovered her passion for counseling children and returned to school to pursue her master’s. 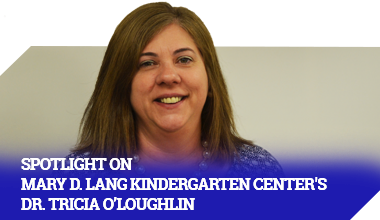 She began working at Kennett in 1998, starting at New Garden Elementary School and Mary D. Lang Kindergarten Center before taking her current role at the middle school. Although she didn’t begin in education, taking care of children has been a lifelong passion – as a child, Mrs. Reinheimer dreamed of being a pediatrician. Mrs. Reinheimer takes a “holistic, full-circle approach.” One of her biggest duties is transitioning students from fifth to sixth grade and then transitioning those same students from eighth to ninth grade. “A challenge with today’s generation is reconciling their identities with technology, a different struggle than previous generations. Technology is a huge part of their lives and influences everything, from identity to social bonds,” she says. Mrs. Reinheimer strives to help her students understand these life transitions and how technology can help and hinder them. Mrs. Reinheimer has also performed various other duties in the school: she participated in the District’s Strategic Committee, received a grant to attend the 2002 American School Counselor Conference, served as the lead facilitator for the Middle School’s Student Assistance Program for several years, and continues to serve as the lead facilitator for the No Place for Hate Program, a subsidiary component of the Bullying Prevention Task Force. She has been instrumental in helping Kennett Middle School receive their No Place for Hate Designation. Along with her leadership in the school, Mrs. Reinheimer enjoys fostering children’s physical capabilities by acting as the Kennett Middle School cross-country coach. She has done this for 11 year and will continue to do so into the foreseeable future. When she’s not working, she can be found shuttling her three active sons to various athletic practices. 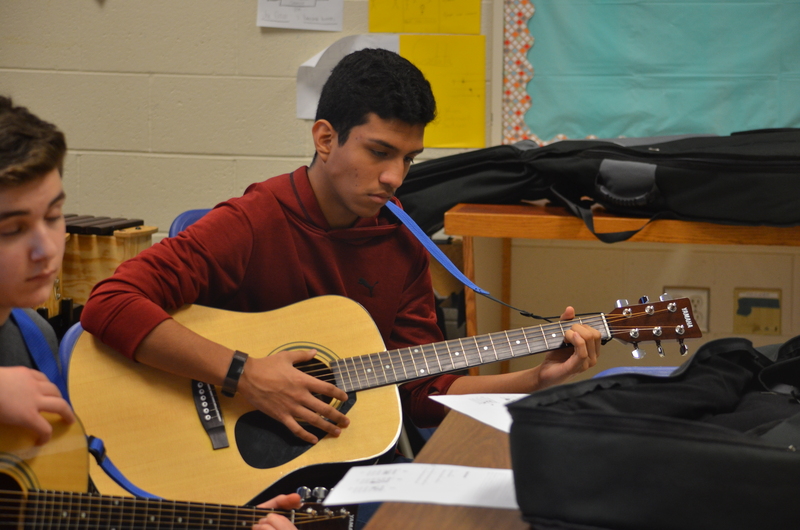 Eighth grade student Eduardo Guadarrama focuses on learning the guitar. March is a month to celebrate visual art and music in schools with Youth Art Month, sponsored by the Council for Art Education, and Music in our Schools Month, sponsored by the National Association for Music Education. Ms. Jessica Williams reviews chords with her students. and school attendance. In the District, arts and music thrive through unique and rigorous programs that cannot be found in other area schools. In March, we celebrate the guitar curriculum at Kennett Middle School and the ceramics and fine art programs at Kennett High School. 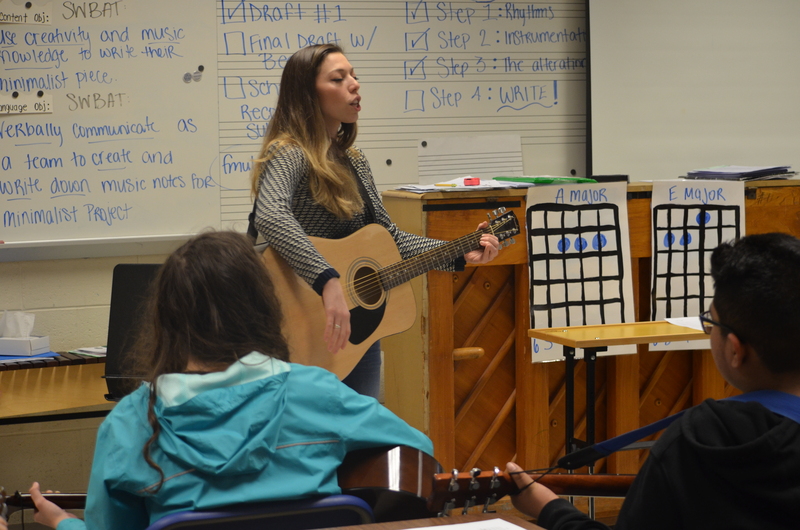 At Kennett Middle School, eighth-grade students have the opportunity to learn one of the world’s most popular instruments: the guitar. Between the two of them, music teachers Mrs. Patricia Mancuso and Ms. Jessica Williams have eight sections of guitar classes. The middle school has been offering the class since the 2004–05 school year. The guitars were purchased through funds raised by the Kennett Consolidated School District Friends of Music, a parent-driven nonprofit that supports all music programs in the District, along with startup money from the District. Over at Kennett High School, students are offered exceptional artistic training in both ceramics and classic artistic mediums. in Mr. Thomas Hironimus’s fine-arts classroom, students study media and techniques like graphite, acrylic, and charcoal. 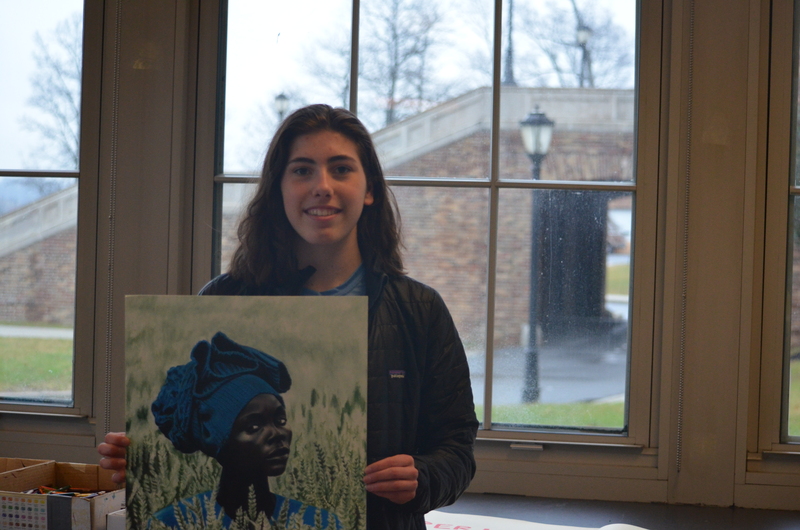 Eleventh grade student Alexandra Cresci with her oil pastel piece. Students looking for something a little more “hands-on” can pursue the ceramics course, a yearlong class that is offered all four years (Most schools only offer an elective like this for part of the year.) “It really allows students to dive deep and hone their skills,” says high-school pottery teacher Mrs. Jodi Davidson. Students in the ceramics program begin with foundational skills, hand-building sculptures with clay and creating basic ceramics. 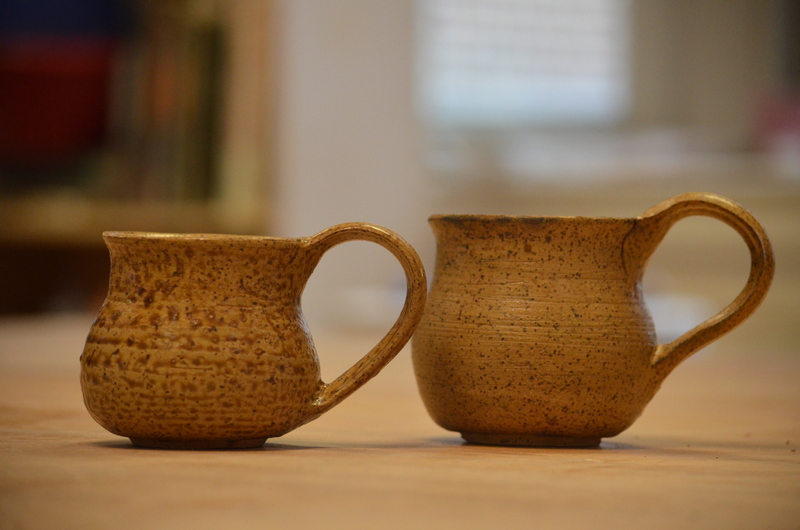 Tenth grade student Ronan Gorman’s Advanced Level 2 hand thrown mugs. As they move up, they learn to throw pieces on the wheel and make bigger projects, including sculptural pieces. Projects range from utilitarian tools, like mugs and bowls, to artistic projects, like masks inspired by world cultures. Mrs. Davidson has been an artist since she was young—in high school, she created her own jewelry and clothing. She pursued her love of art at West Chester University, earning a degree in fine arts. After graduation, Mrs. Davidson fell in love with teaching art and eventually went back to school for her master’s in art education from the University of the Arts in Philadelphia. “Going to school for art is doable, and I love seeing students pursue their passion for art after high school,” added Mrs. Davidson. 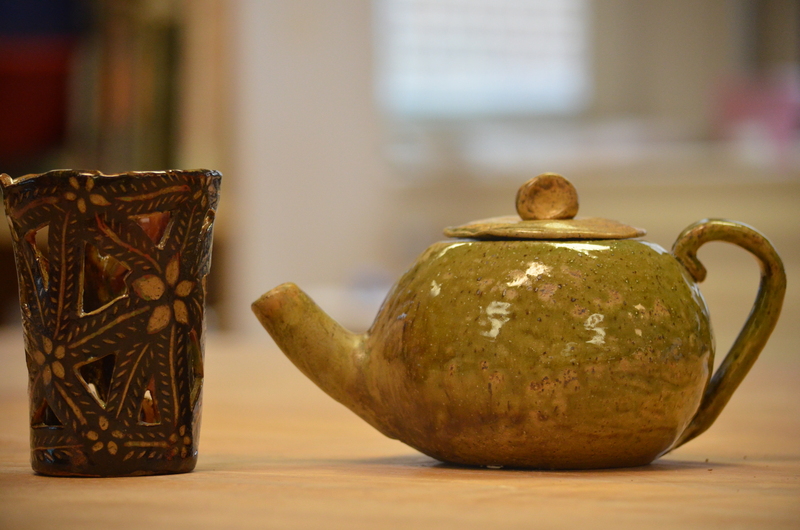 Twelfth grade student Katie Schuetz’s First Year Ceramics lattice cup and teapot pieces. gram is undertaking a mosaic project to decorate the hallways of the art classrooms. The students mold and glaze the tiles in the school and help construct the mosaic, which is projected for completion at the end of the school year. embodies why art education is important. “Having a creative outlet is really important for all people,” added Mrs. Davidson. Currently, the ceramics program is undertaking a mosaic project to decorate the hallways of the art classrooms. The students mold and glaze the tiles in the school and help construct the mosaic, which is projected for completion at the end of the school year. Kindergarten Center- 9:00 A.M. – 12:00 P.M. Elementary Schools– 8:45 A.M. – 12:30 P.M.
Our Middle School parent conferences will be held on Wednesday, April 25 and Thursday, April 26 and will operate on half-day schedules on these dates that begin at 7:40 A.M. and end at 11:30 A.M.
You will receive specific information from your home school in regard to your child’s scheduled parent conference soon after next week’s scheduled Spring Break has concluded. Kindergarten Center- 9:00 A.M. – 3:00 P.M. Elementary Schools- 8:45 A.M. – 3:35 P.M.
Middle School – 7:40 A.M. – 2:35 P.M.
Kindergarten Center- 9:00 a.m. – 12:00 PM. Escuelas primarias- 8:45 a.m. – 12:30 PM. Nuestras conferencias para padres de la Kennett Middle School se llevarán a cabo el miércoles, el 25 de abril, y el jueves, el 26 de abril y operarán en horarios de medio día en estas fechas. Vamos a empezar los días escolares a las 7:40 A.M. y vamos a terminar a las 11:30 a.m.
Usted va a recibir información específica de su escuela con respecto a la conferencia programada para padres de su hijo unos días después de las vacaciones de la primavera la próxima semana. Kindergarten Center- 9:00 a.m. – 3:00 PM. Escuelas primarias- 8:45 a.m. – 3:35 p.m.
Escuela Secundaria – 7:40 a.m. – 2:35 p.m.
Three incredibly talented Kennett High School musicians have been selected to Pennsylvania Music Educators Association (PMEA) Region VI Festivals. These students advanced to Regions based on their auditions at the District level in January. Region VI includes schools in Chester, Delaware, Bucks, and Montgomery counties, as well as the city of Philadelphia. 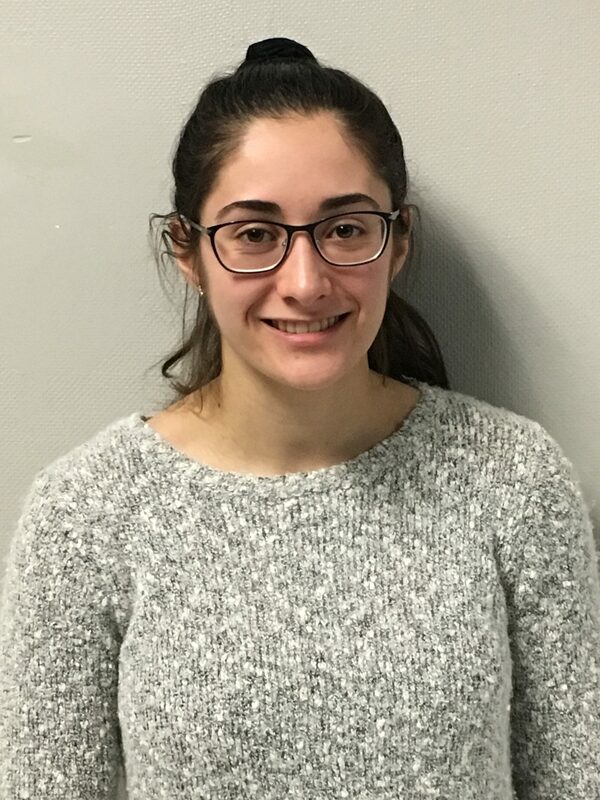 Victoria Gonzalez (bass clarinet) will be a part of the Region Band Festival, February 22 through 24 at Valley Forge Military Academy. 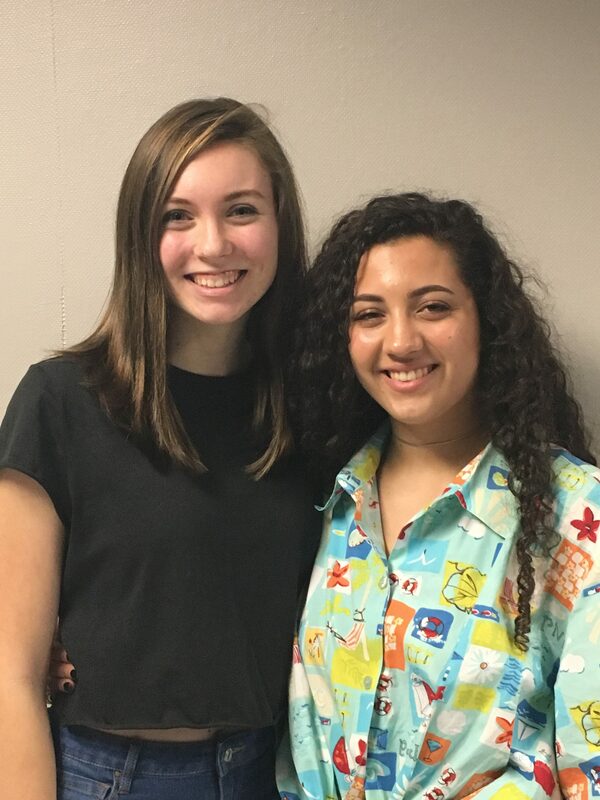 Participating in the Region Chorus, March 1 through 3 at Central Bucks South High School, will be Abbie Duckworth (alto) and Mirella Petrillo (alto). Students were required to demonstrate excellence in major and chromatic scales, as well as solo performance, or choral selections, in order to earn the right to participate at Region Festivals. Hopefully, the next step for these students will be the State Festivals. They will audition again at Regions to secure a spot there. “We have sent students to PMEA Regions for the last eight years. Kennett’s high standards of musicianship have ensured that accomplishment,” added Mr. Anton Romano, Director of Bands at Kennett. Both Region Band and Region Chorus Festivals culminate in concerts that are open to the public.